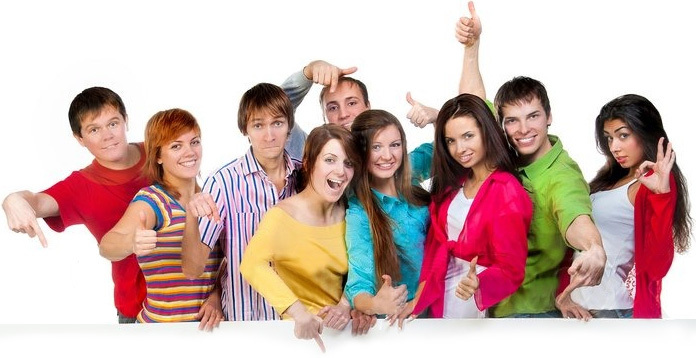 The necessity of enhancing civil awareness and participation in stepping up the cooperation among SEE countries along with strengthening the interpersonal contacts, especially among the young people in the region as a bridge between various nations and cultures, underlies the idea for conducting a regional youth essay writing contest. The competition is launched by the Bulgarian Chairmanship-in-office of the South-East European Cooperation Process Parliamentary Assembly (SEECP PA) with active support of SEECP PA member parliaments. 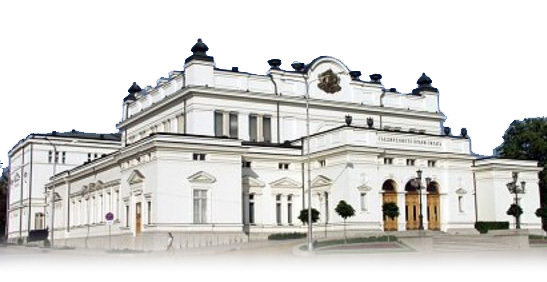 The contest will be coordinated by the Regional Secretariat for Parliamentary Cooperation in SEE. 2. Computer skills – Microsoft Office, (Word, Excel, Power point, etc. ), Internet, etc. 2006 - 2011 – Project Coordinator – “T-Mobile Open days” (2007, 2008, 2009, 2010 and 2011.). 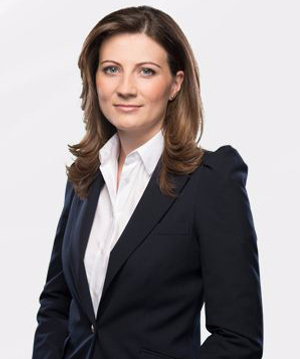 Gabriela Podașcă (born 1985) is one of the youngest deputies of the Romanian Parliament. She was a member of Victor Ponta’s staff, the current Prime Minister, first as a political adviser and then as a consultant within the Ministry for Relations with the Parliament. Having gathered a wide experience in political marketing and public relations, she went on to become the coordinator of PSD’s Press Bureau. 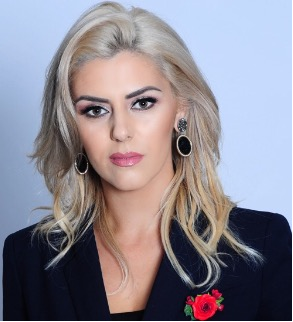 Her education consists of the Communication and Public Relations at the University of Bucharest and a master's degree in Political Communication at The National School of Political Science and Public Administration. In 2009, she attended the classes offered through “The Friedrich Ebert Scholarship for young politicians” and during the following years she completed an internship at the European Parliament within the “Francis Vals Scholarship”. In December 2012, she was elected deputy on behalf of the Social Democratic Party, winning a mandate in Bucharest, district 3. She is currently Vice-chairperson for the Committee on Equal Opportunities for Women and Men and a member of the Committee on European Affairs Committee. In 2013, she became a member of the Constitution Revision Committee and in 2015 she was named Vice-Chairperson of the Election Code Committee. Gabriela Podașcă is a member of the Delegation to the Parliamentary Assembly of the South-East European Cooperation Process. In 2014, she was elected Chairperson of the SEECP PA General Committee on Social Development, Education, Research and Science. Gabriela Podașcă is also a member of the “Red Cross National Society” and continues to be involved in social projects. Her political activity focuses on legislative measures aimed to support children's rights, youth, the vulnerable and the disadvantaged. She was a member of Victor Ponta’s staff, the current Prime Minister, first as a political adviser and then as a consultant within the Ministry for Relations with the Parliament. Having gathered a wide experience in political marketing and public relations, she went on to become the coordinator of PSD’s Press Bureau. Degree(s) or Diploma(s) obtained: D.E.S.S. Strategies du Developpement Culturel, Option: Politique culturelle internationale et Géstion des Arts, "Arts et industrie. Strategies de communication de l'Union Centrale des Arts Decoratifs"
"Ethnic Identity and Ethnic Conflicts"
"Autoidentification ethnique dans une situation de conflit en Bulgarie contemporaine"
- Public-Private Partnership – policies, methods and evaluation of effectiveness. Her responsibilities include direction of the overall activities of the Division, preparation of briefing papers, speeches and talking points for the parliamentarians in preparation for international meetings and providing advice on policies, procedures and rules of the international parliamentary assemblies. In addition, she follows the latest developments in the international affairs and provides inputs to parliamentarians. Ognenovska is Secretary of the Macedonian Delegations to the Inter-Parliamentary Union and to the OSCE Parliamentary Assembly, Executive Secretary of the Macedonian Parliamentary Section to the Assemblée parlementaire de la Francophonie, Deputy National Coordinator to the SEECP Parliamentary Assembly and Officer-in-charge of bilateral relations with: Canada, Iran, Russian Federation, Ukraine and Turkey. In this capacity she attends the meetings of the international parliamentary assemblies, briefs the parliamentarians on proceedings and deliberations and maintains working relations with counterparts in the international parliamentary assemblies and other countries’ parliaments. Ognenovska joined the Staff of the Assembly, Skopje in May 1998, as Senior Assistant in the International Cooperation Department. From July 2003 until her appointment as Head of Division in January 2006, she was Advisor for Multilateral Cooperation. She was a research assistant in NATO Parliamentary Assembly in Brussels, Belgium (October 1999 - November 1999) and stagier in the National Assembly in Paris, France (November 2003 and December 2006). Before joining the Staff of the Assembly, Skopje, Ognenovska was engaged as an Administrative Assistant on a Project of the Office of the World Bank in Skopje. During her studies, she was actively involved in AIESEC, the world’s largest youth-led network as member, executive (Local Committee Vice-President, Local Committee President, National Committee Vice-President) and trainer (National Training Team and Balkan’s Training Team). She attended numerous AIESEC meetings around the world and two traineeships in Cairo, Egypt: Market Researcher in Godwood Co. (June 1996 - September 1996) and Marketing Assistant and Market Researcher in Heinz-Egypt (September 1996 - November 1996). Ognenovska is still active in the organisation, as member of the Board of Advisors of AIESEC Macedonia and member of AIESEC Alumni Macedonia. She holds a Bachelor’s degree in Economics at the University "Ss. Cyril and Methodius"; Skopje, Macedonia and Master’s degree in Public Management at Université Paris 12 - Val de Marne, Créteil, France. She has a wide range of experience in international parliamentary affairs and parliamentary practises, having attended numerous training programmes, among which: “International Legislative Drafting Institute” at Public Law Center of Tulane and Loyola Universities in New Orleans, LA, USA; “La Francophonie” at Institut international d'administration publique (IIAP) in Paris, France; Formation Administrative Supérieure at Ecole Nationale d’Administration (ENA) in Skopje, Macedonia and Paris, France; "Contributing to the Modernization and Democratization of the Parliaments of Albania, Bosnia and Herzegovina, Macedonia, Serbia and Montenegro" at La Sapienza University in Rome, Italy; “What Role Do the Parliaments Have vis-à-vis the States in EU Decision-Making” at ENA in Paris, France; “Parliamentary Internship Programme” at the Parliament of India in New Delhi, India and “Organisation of Parliamentary Work” at ENA, National Assembly and Senate in Paris, France. Ognenovska is member of the Association d'anciens boursiers de la République Française en Macédoine (Alumni Association) and Honorary Citizen of New Orleans (LA, USA). She speaks English and French, and learns German (B1). He was born in Diyarbakır in 1966. 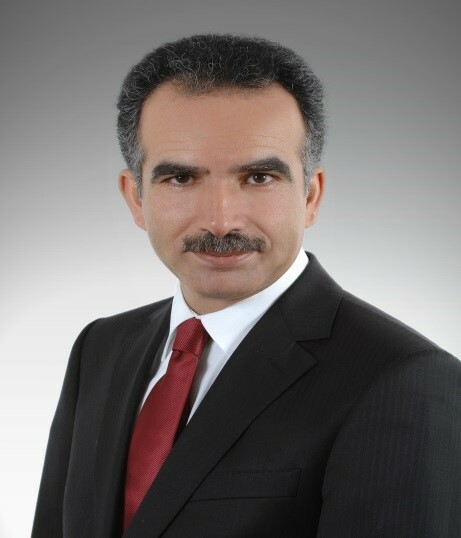 He was graduated in 1990 from Political Science and International Relations Department in Boğaziçi University. He took his MA and Ph.D degrees from Social Science Institute in Bilkent University. He lectured courses such as History of Political Thought, Modern Political Theory, Comparative Politics and Sources of Ottoman History in various universities. His parliamentary career started in 1992 as a legislative expert. He is the founding director of the Research Center in 2006. 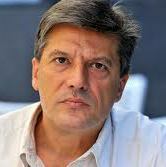 Since then, he is also the ECPRD correspondent for the Turkish Parliament. He authored a three volumes book in parliamentary history of Grand National Assembly of Turkey (GNAT) for the legislative period 2002-2007. He published extensively on democratization, nationalism, Islam, Turkish EU accession process, and the so-called “Kurdish issue” in Turkey. Currently, Dr. Yıldız is the head of the Research Center of the Turkish Parliament. 05.2010 Assistant curator for the exhibition “Squat the City” organized from “Tirana Art Lab” Olympia Center, Tirana Albania. 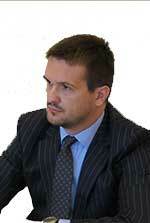 2003-2007 Interpreter/ assistant professor ( Centro Evoluzione Moda). PC literate: MS Office, Internet, and basic, computer, and software applications. 31 March: deadline is fast approaching! SEECP Essay Competition © 2015 | Design by Intersoft ltd.